It's that time of year where you're thinking about upcoming warm weather fashion, but you also need to be snatching up winter chic on sale! I know almost everyone in DC has a J. 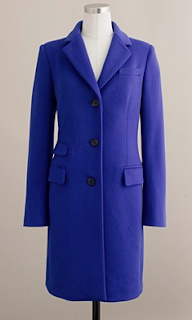 Crew coat, but their Thinsulate is super warm and a bright blue coat is still unique and standout! Buy for $180, usually $320.